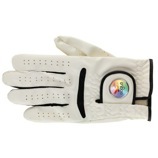 Top quality synthetic leather golf glove printed up to four colours to your design. 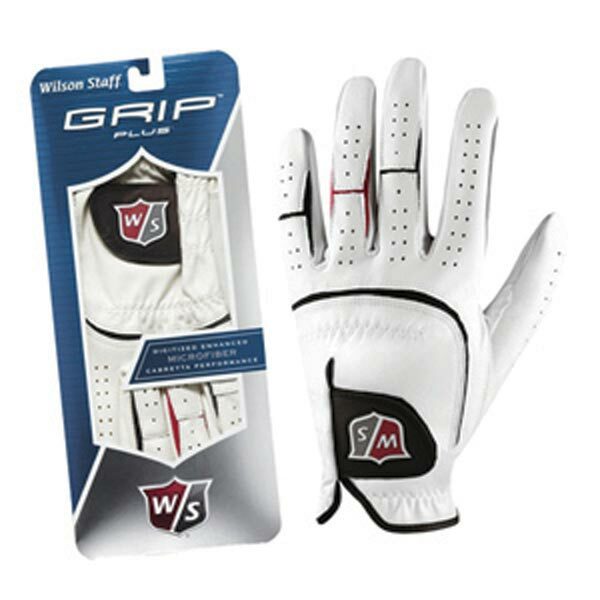 New digitized synthetic leather enhances grip and provides unsurpassed comfort and durability. Soft cabretta leather palm patch and thumb for enhanced grip and feel. Ergonomically engineered Cross Fit knuckle system for optimal fit and comfort. Anti-microbial performance mesh dissipates heat and moisture enhancing grip and comfort. 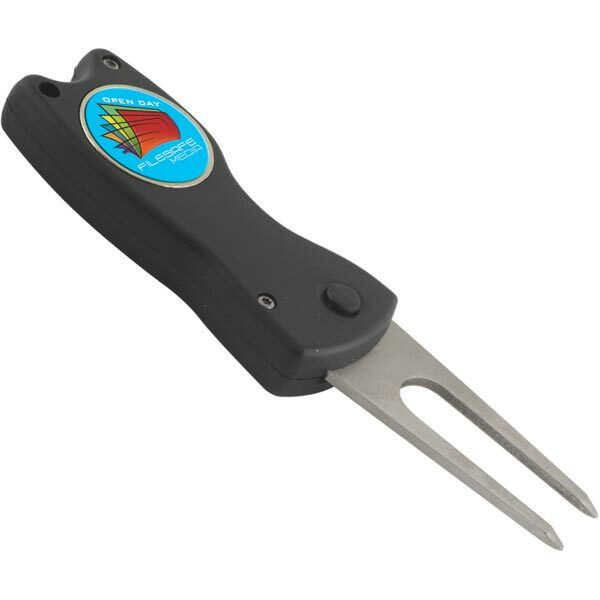 Available in both left hand and right hand gloves. Colours : White with Black/Red Trim. Sizes : Small Medium Medium Large Large and Extra Large. 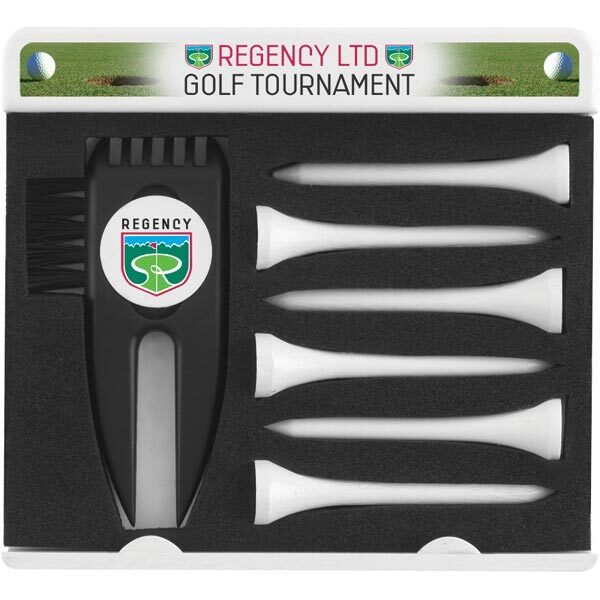 Plain high quality satin silver window tin of tees accommodating approximately thirty 54mm wooden tees printed to your design. 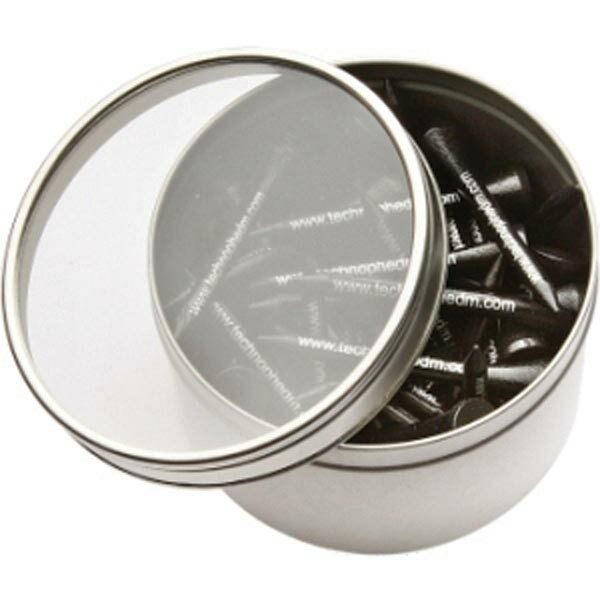 Dimensions : 64mm Diameter. Print Area : Tees : 30mm x 3mm. Great Value Ball and Tee Gift. 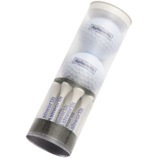 Acetate tube containing nine wooden tees and two Wilson Ultra or Pinnacle Gold golf balls all printed to your design. High quality flick fork complete with magnetically detachable 24mm chrome ball marker printed in full colour to your design and encapsualted in a flat resin insert. 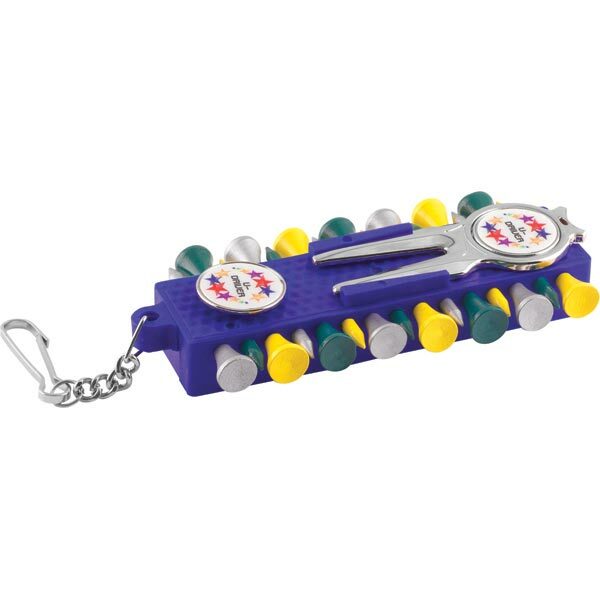 The ultimate gift for any corporate golf day. 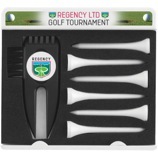 Comprised of two chrome ball markers printed in full colour to your design and encapsulated within a flat resin decal. The executive bar also includes the Newbridge magnetic fork with fifteen plain 54mm wooden tees and one plain mini mechanical golf pencil with eraser all held in a rubber bar with metal clip attachment. 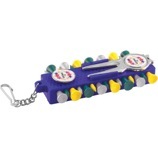 PVC Scorecard holder complete with handicap chart and one plain mini mechanical pencil with eraser. 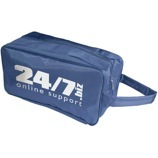 Price includes single colour print to front of PVC scorecard holder. Full colour digital print also available at extra cost. 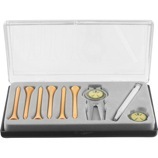 Deluxe hinged box containing two 24mm chrome markers printed in full colour to your design and encapsulated with flat resin decals with the metal Newbridge Magnetic fork and six plain 70mm wooden tees and plain mechanical pencil with eraser.